Stunning Transitional with huge front porch right on the Dominion Clubs 12th hole!! This 5 bdrm, 4.5 bath home has beautiful hardwoods and 9ft ceilings throughout 1st floor. Formal LR & DR have detailed moldings. Family room offers tons of natural light & beautiful views of the golf course. Chef’s Kitchen includes top of the line SS appliances, granite, & easy-open casement windows and french doors that open to the screened porch. A private office & half bath complete the 1st floor. Upstairs is the master suite including his & her closets, sitting area, and updated master bathroom. 4 additional bedrooms and 2 additional full baths complete the second floor. Easy walk up attic is large enough to accommodate all your storage needs! Spectacular Full Finished basement is great for the kids or entertaining. The basement includes a large Rec Room, perfect for movies or games, full bathroom, and a full kitchen to conveniently entertain your guests. 2 additional rooms in the basement could be used as bedrooms if needed! Walk out from the basement and walk directly onto the fairway of the 12th hole! Very private setting. New Roof 2018; HVAC within the last 4 yrs. Call today. Please, send me more information on this property: MLS# 1909319 – $830,000 – 12125 Morestead Court, Glen Allen, VA 23059. 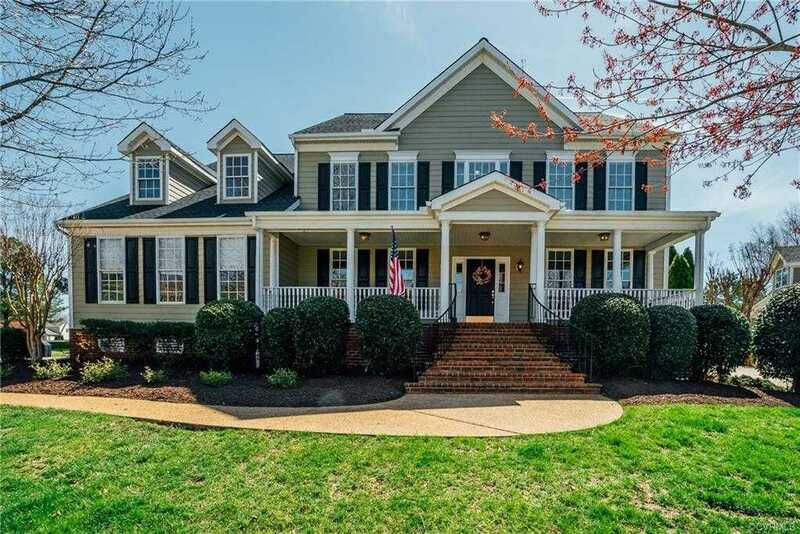 I would like to schedule a showing appointment for this property: MLS# 1909319 – $830,000 – 12125 Morestead Court, Glen Allen, VA 23059.